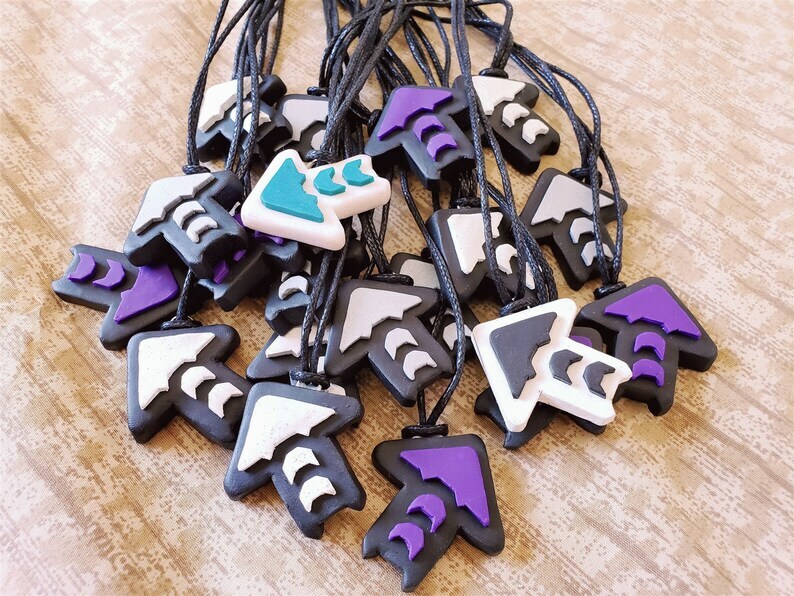 These arrow necklaces are modeled after graphics from Andamiro's dance game, Pump It Up (PIU). Like other dance games, such as Dance Dance Revolution by Konami and In The Groove by Roxor, Pump It Up is a great way to get fit while having fun. These necklaces are the perfect accessory for any dance game enthusiast, music gamer, or anyone dedicated to getting in shape while having a good time! Each necklace is handmade and comes ready to wear on an 18in adjustable black cord necklace. The "Arrow Direction" option allows you to select which direction you'd like your arrow the face/sit. If you don't see the arrow color you want here, you're welcome to submit a customer order request (or just send a message) for any other color. Most colors and shades are available and will be made to order at no additional cost. Specialty designs, such as those shown in the last picture, can also be created for a nominal fee upon request! These arrows will be sent as necklaces by default but are available as other accessory types upon request. For any accessory type other than the earrings or choker, just leave a note requesting your preference with your order! We charge an additional fee of $10 for earrings and $2 for chokers so please contact us or submit a custom order request for these options! Colored Stone Black Lace Bracelets - Large Range of Styles Available!